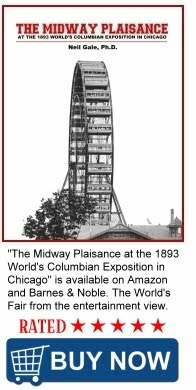 The Digital Research Library of Illinois History Journal™: Lincoln, the Illinois county that never was. The Illinois General Assembly created most of the state's counties in the 1820s and 1830s, and added several additional ones in the 1840s and 1850s for a total number of 102 counties. During the antebellum period, the legislature considered and created many other counties, which never materialized because the electorate voted against their formation in a referendum, failing to complete the enabling act requirements. One example of this was the 1867 effort to create the state's 103rd county -- Lincoln County -- named for Illinois' greatest citizen and recently assassinated president, Abraham Lincoln. found a home on any Illinois map. As a means for the state to honor Lincoln, Champaign County Representative Clark R. Griggs introduced a bill to create Lincoln County on January 17, 1867. The House unanimously passed the bill by a vote of seventy-nine to zero, and the bill moved to the Senate, which also unanimously passed it twenty-four to zero. The bill became a law on March 9, 1867. The proposed county would consist of lands from western Vermilion and eastern Champaign counties. It would be a small, thin county, thirty-six miles long and from eleven to seventeen miles wide. The act called for a referendum for voters from both counties to approve the measure four months later. On July 9, 1867, voters went to the polls to cast their ballots for or against the formation of the new county. While no county seat had yet been selected, citizens of Homer felt that their town had the best chance to become county seat and strongly supported the new county. However, residents of Danville, Champaign, Urbana, and Rantoul strongly opposed the new county because it would "haggle off a strip" of both counties, lessening the size of each. South Homer township voted 301 to 8 for the county, but the rest of the townships in Champaign and Vermilion counties overwhelmingly defeated it. Several townships failed to tally one vote in support of it, and West Urbana township defeated it 503 to 2. The final tally showed nearly a 4,000 vote majority against the new county. 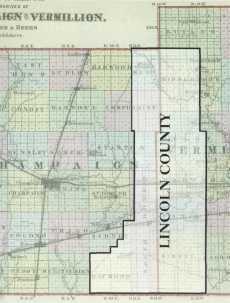 Lincoln County, which would have been the state's 103rd county, was never established. This was the General Assembly's last effort to create a new county in Illinois. Clark Griggs served only a single term in the Illinois legislature. While Griggs' effort to create a county honoring Abraham Lincoln failed, another of his bills in the General Assembly was quite successful. Griggs introduced the bill and campaigned hard for the creation and location of the Illinois Industrial University at Champaign. The land-grant university later became the University of Illinois at Urbana-Champaign. The antebellum period refers to the years after the War of 1812 (1812-15) and before the Civil War (1861-65). The development of separate northern and southern economies, westward expansion of the nation, and a spirit of reform marked the era. These issues created an unstable and explosive political environment that eventually led to the Civil War.